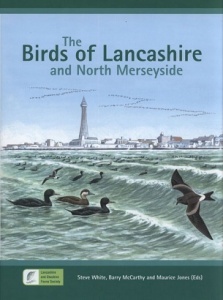 The first book on Lancashire's Birds was published in 1885 and the second in 1953. This publication, the third, records the state of Lancashire's avifauna at the start of the 21st century. Provides a detailed account of all the 348 native and naturalised species to have occurred in Lancashire. 105 line drawings, 133 graphs, 311 photographs, 106 breeding distribution maps, 460 pages. Published 2008.